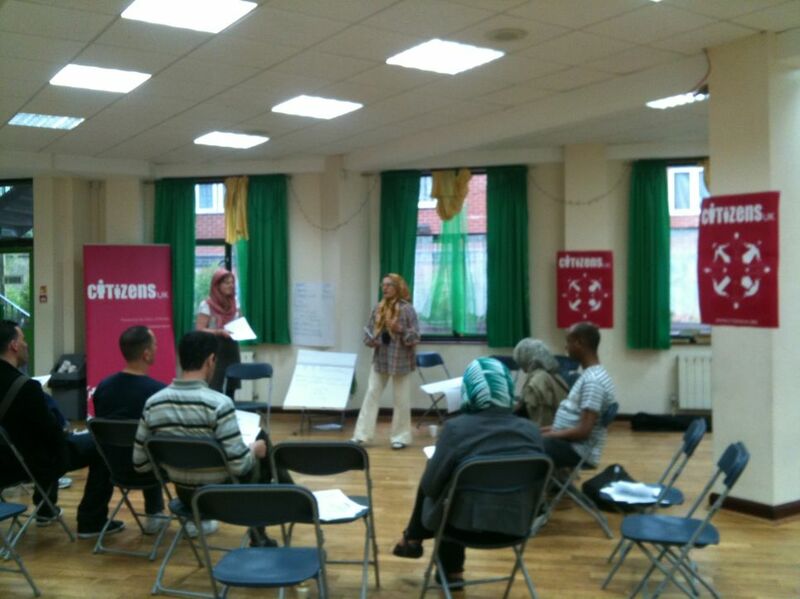 On Friday June 1st CITIZENS UK hosted an immigration workshop at the Finsbury Park Mosque. The Immigration workshop was run as part of the New Citizens Legal Service (NCLS) which exists to address the issue of poor quality, unsatisfactory and often exploitative immigration services. More than 30 people from our local community attended this workshop, after the consultation, the client can decide whether to instruct the adviser who we trust and know will provide quality advice at a discounted rate. During the workshop, in Finsbury Park Mosque, a number of other services were also provided. Students from the Manuel Bravo Project were present to discuss asylum cases, whilst BPP student lawyers also attended to record cases who have fallen victim of bad advice and inform these cases of how to make a complaint with the OISC and SRA. Whilst waiting for the 121 consultation, clients participated in a workshop, delivered by an organiser from the community of CITIZENS UK about how to identify good and bad legal advice focusing on what service clients can expect from OISC and SRA regulated advisers and solicitors. This included very practical tips such as always getting a receipt and always knowing to what level the adviser or solicitor is trained. The workshop was a great success and built a partnership between Finsbury Park Mosque and 1st CITIZENS UK at the Mosque who provided the support and facilities for the event. Finsbury Park is an area of fantastic diversity and potential, but also an area where there is need for social change, for example, the desperate need to make this a safer place for young people. As our work develops around immigration and many other important issues, we very much look forward to working with the 1st CITIZENS UK.